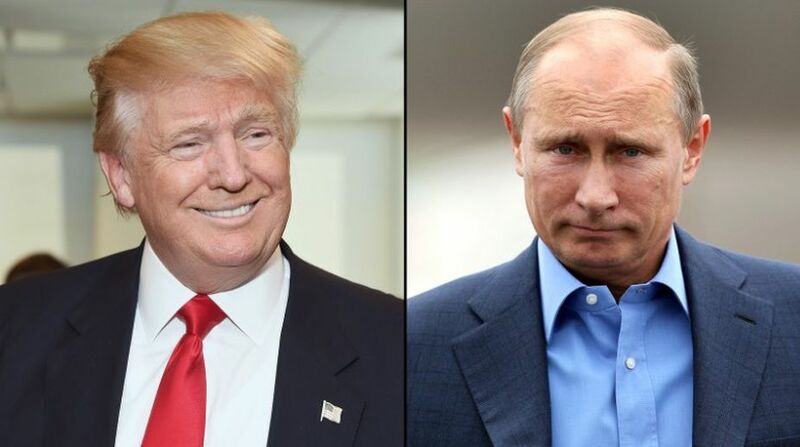 Russian President Vladimir Putin is ready to meet his US counterpart Donald Trump following an invitation by the latter, but Moscow is waiting for a detailed proposal, Russian Foreign Minister Sergei Lavrov said on Friday. Trump proposed a meeting with Putin at the White House in a phone conversation on March 20, Lavrov recalled in an interview with Russia Today published on the Russian Foreign Ministry’s website, adding that Moscow hopes Trump will give specifics on his invitation. Trump told reporters on the same day of the phone call that he intended to meet Putin “in the not too distant future”. However, Kremlin aide Yuri Ushakov said earlier that the prospects of organising the meeting have not been discussed since then, Xinhua news reported. A new round of US sanctions against Russia and the US-led missile strikes on Syria added uncertainty to the possible Putin-Trump meeting. Talking about the risk of a military confrontation between Russia and the US, Lavrov said that he was absolutely confident that Putin and Trump will not allow an armed conflict to happen. He said Russia noted that Trump expressed willingness on Twitter and other occasions to solve problems and mend relations with Russia. “It’s better than not having those,” Lavrov said.